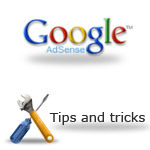 Google Adsense is the most common revenue generators for blogs and websites and probably also the most easier way how to earn money, start to make some income, if You got already niche blog and some traffic. I started with Adsense too, I am not going specifics about numbers, but income is pretty motivating to keep going and think about monetizing. Also remember not to overact, setting up too much advertisements on Your site – this article should be useful if You are just starting out, don’t know how it really works and also for people who use this service but already thinks about some optimizing and digging deeper. I just went it all through, so consider this as sharing with experience, resources and articles, which should help You understand and actually do better when You are thinking about starting to make money from what are You doing.